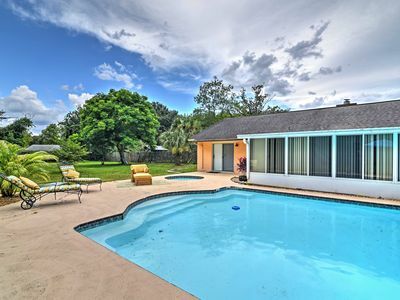 "Sunset Retreat" Lakefront acreage is located between Florida’s Atlantic Coast BEACHES and Orlando’s THEME PARKS on picturesque Horseshoe Lake. Get away from the hustle and bustle of city life. 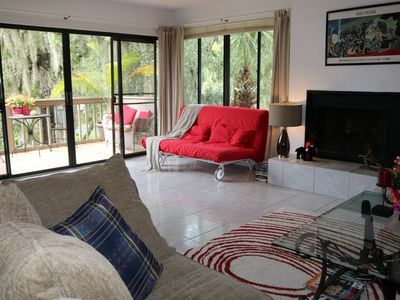 Let this captivating, well-maintained, lakefront, Orlando-area vacation rental home be yours for your upcoming escape to Central Florida! "Sunset Retreat" has something for everyone...a 65-acre skiable, fishing lake for active families; a quiet, natural setting for those who want to get away from it all; a well-maintained, home with pool/spa, centrally located to tourist attractions and beaches. 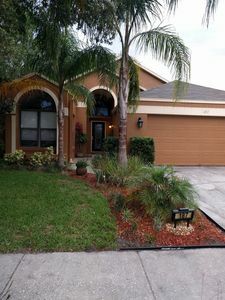 This wonderful lake house will serve as your oasis in the heart of everything Orlando and the Space Coast has to offer. 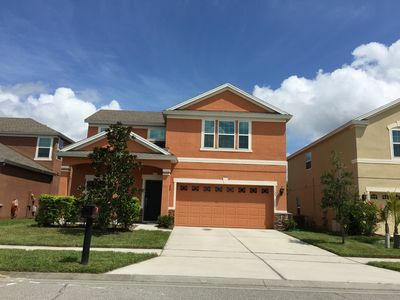 Easy travel by way of expressways to a wide array of activities to include Disney/Universal/Sea World theme parks, beaches, state parks, space launches, Central Florida Zoo, mall shopping, airport and downtown Orlando; close to Expressway 408 and University of Central Florida (UCF). 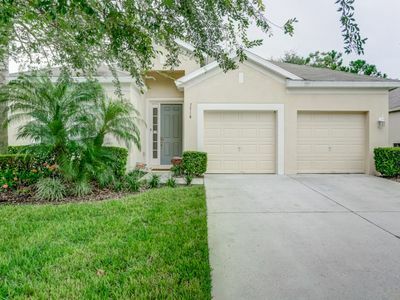 You’ll immediately feel at ease the moment you arrive at this comfortable, well-maintained, 3-bedroom, 2-bathroom home; your home away from home. 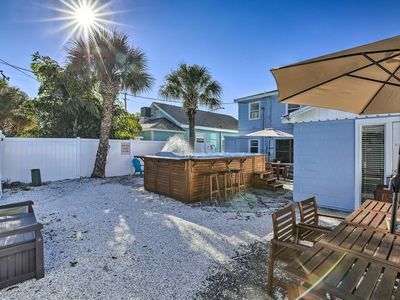 With enough room to accommodate 6 guests, this 2,200 square-feet home is fully furnished and a terrific size and layout for families and friends out for a rejuvenating Florida retreat. 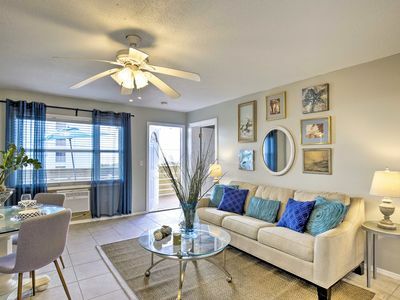 You and your companions will have ample space to spread out and unwind with the home’s open, airy floor plan and numerous windows that bring the outdoors inside. 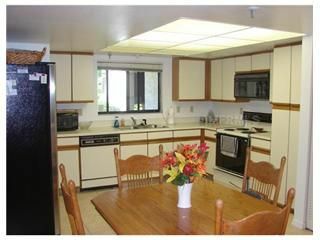 The SPACIOUS KITCHEN and eating areas are equipped with all the essentials and there is plenty of counter space. 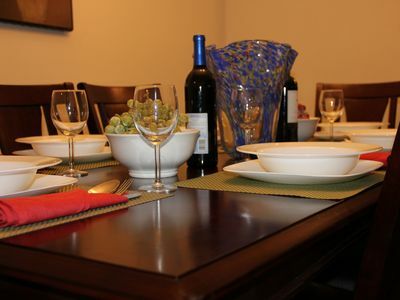 For dining, a 6-person table/chairs provide ample seating for guests. 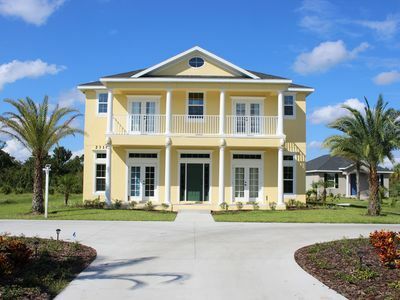 The split-floorplan has a comfortable master retreat with a KING_SIZED bed, a bathroom with a shower, and a walk in closet; and there are French doors to the SCREENED-IN pool area. The 2nd bedroom has two TWIN beds and the third bedroom has a daybed with trundle and built-in desk. The second bathroom has a tub/shower. 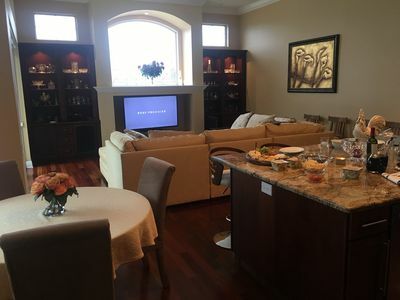 The main living space provides comfortable leather seating (sofa, love seat, chair) and flat-screen TV. In addition to cable TV and WiFi, there is even a small collection of DVDs if you want to stay in and watch movies. The full size washer and dryer is located off of the kitchen and garage area. A weightlifting set is available for your use in the garage. A PACK-N-PLAY and HIGH CHAIR can be made available. 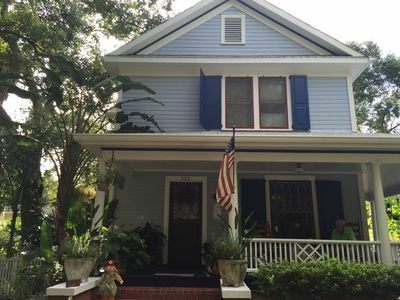 Enjoy natural Florida flora and fauna in this quiet setting. Start your mornings watching nature while sipping a hot cup of coffee by the pool, and end your evening on the PRIVATE DOCK watching the sunset with a glass of fine wine. Paddle around the 65-acre lake in a canoe. 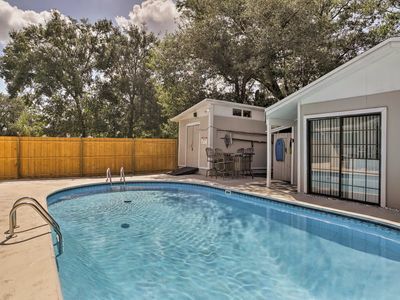 The private lake and dock is in your back yard. 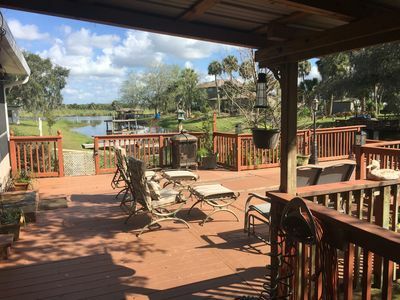 You can enjoy seeing the boaters and skiers, while fishing, sunbathing or simply relaxing on your private dock. If you’re a fishing enthusiast, be sure to bring your fishing gear (and we do have a couple rods/some tackle for your use as well). If there is a space launch you will likely see the rocket from your front driveway. We've worked hard to create a place of peace and pleasure for our guests. 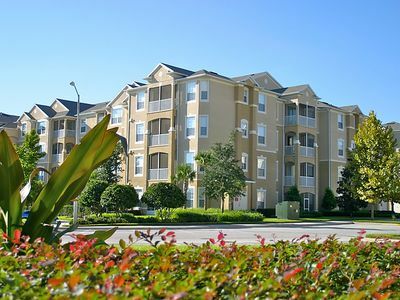 This is a natural Florida setting and any animals that you find are in their natural environment. 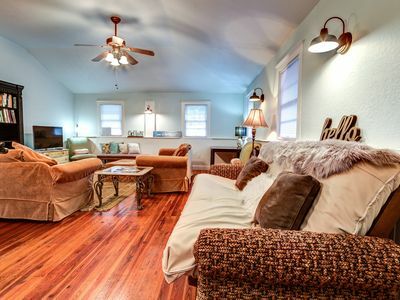 - Home amenities include a fully equipped open-concept kitchen, CEILING FANS throughout, complimentary WIRELESS INTERNET access, CABLE TV and access to your various streaming services, SCREENED PORCH with POOL with JACUZZI, patio furniture, washer and dryer, PRIVATE DOCK, fire pit, leather couches, two bikes/safety helmets and a CANOE/2 life vests (bike and canoe) can be made available, BBQ grill, and much more. A PACK-N-PLAY and HIGH CHAIR can be made available with prior coordination. Note, during the cooler months, the pool is heated with a solar blanket. The HOT TUB is self serve (turn on/turn off) for each use use. Your rental quote includes some propane usage. - An adult dog may be allowed, discuss with owner; no aggressive/dangerous breeds; crate trained and crate use required during guest absences, additional pet fee and security deposit required. Inquire with Owner for approval prior to booking. 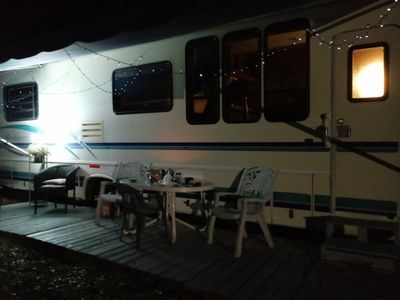 - No events, parties, gatherings or RV parking without owners’ written approval. My husband and I have been landlords for 30 years and we want to make your Florida vacation memorable. We make our lake home available for seasonal rentals, vacation rentals, and corporate housing. We take pride in our property and are responsive to our guests’ needs. 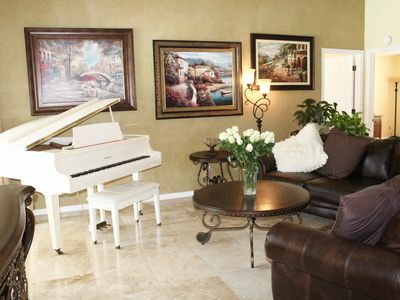 Our property is furnished with all the amenities of home! Enjoy your stay. Everything is better at the lake! NEW! 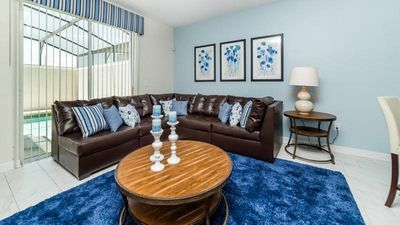 Pet-Friendly Madeira Beach Apt-Steps to Gulf! NEW! 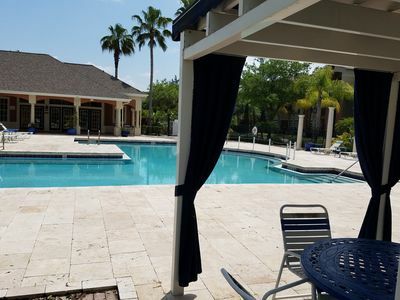 Chic Madeira Beach Condo w/ Hot Tub Access!